I first came across Vorticism when I was about 12 and our class art project was to produce a portrait of ourselves in the Vorticist style. I realised at the time that it wasn’t a masterpiece (it’s somewhere in the attic and, even if I found it, I wouldn’t let you see it) and that I hadn’t quite captured the Vorticist aesthetic but then I had no idea how wrong I’d gone. My own attempt played with the faceted angularity of Vorticism figuration, which originated from Cubism, but I had not grasped the subtle abstractions that develop this movement far beyond the previous Cubist works. It’s lucky I decided to become an art historian, not an artist. 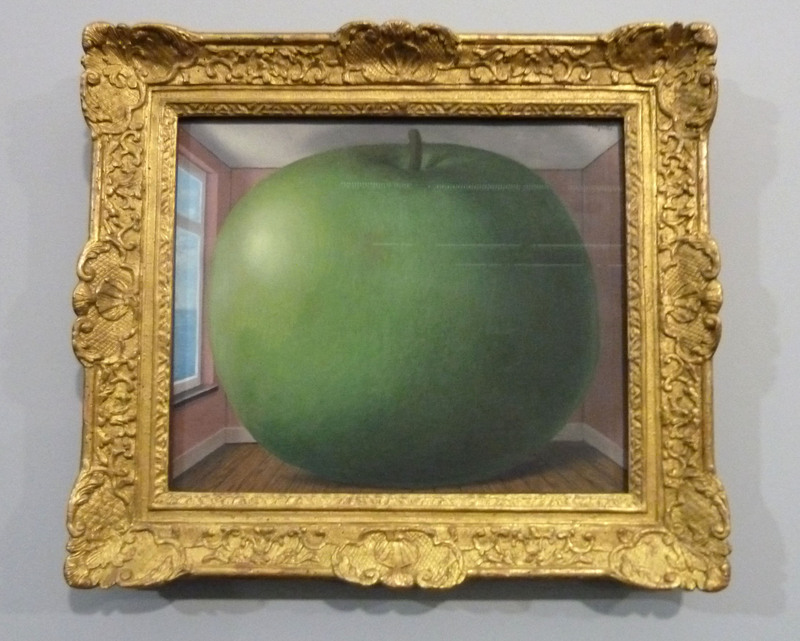 There is no doubt that I am a fan of this period – indeed of most 20th century British artwork – but that never normally stops me from criticising. 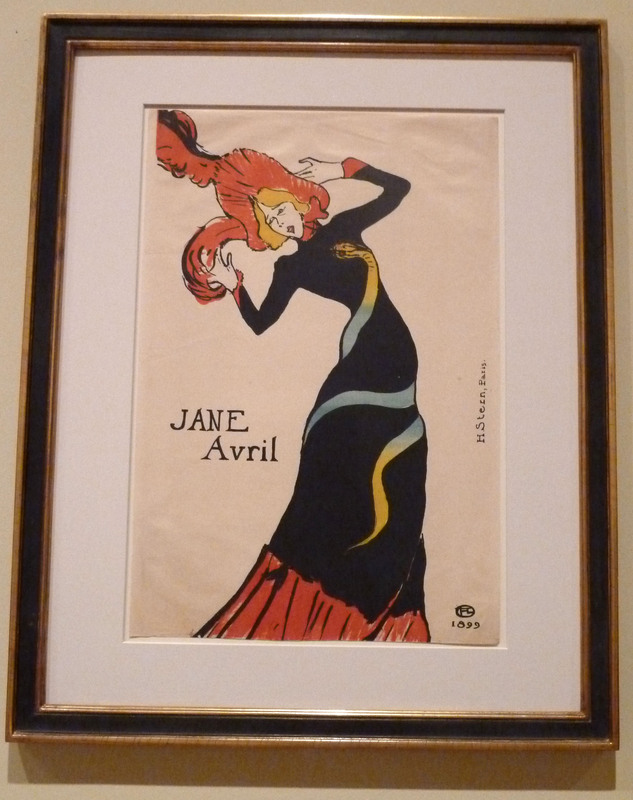 This exhibition, however, is spectacular, bringing together an amazing collection of artists, charting a movement that followed in the wake of Post-Impressionism, Cubism and Futurism. 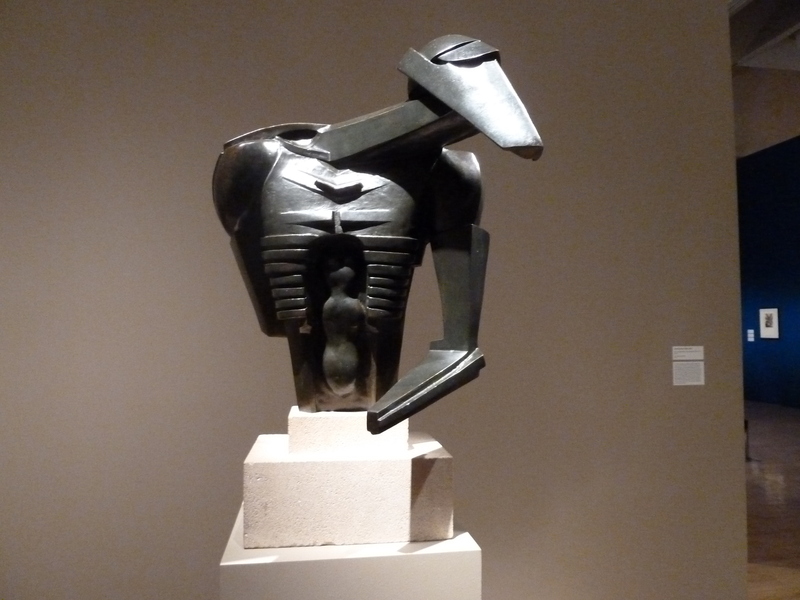 The Tate Britain exhibition opens with the now-familiar Jacob Epstein sculpture, Rock Drill – a modern phallic power, a machine-like figure, astride a drill, an emblem of industry further representative of his hard phallus. Although later emasculated in the reduced version, this work expresses the confidence and power of Britain on the brink of war. Jacob Epstein, Torso in Metal from the ‘Rock Drill’, 1913-16. Own photograph. Tate have set the sculpture against a pink wall, evoking the colour of the first issue of Blast in 1914, an announcement of Vorticist ideals as well as a presentation of literary values. 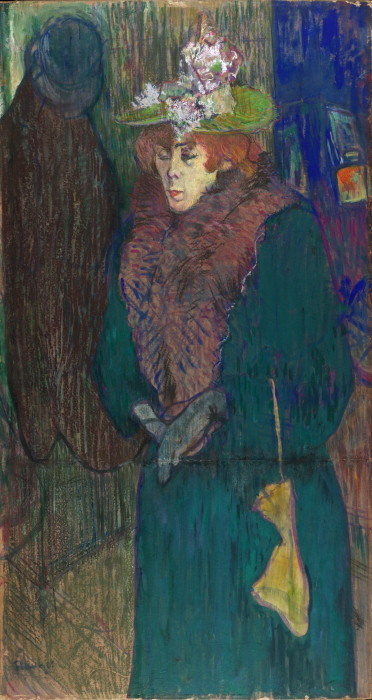 Although this is one of the most iconic pieces in the exhibition, and Epstein was credited by the Vorticists, he never officially joined the group. Instead, this sculpture shows the importance of machine aesthetics to these artists. 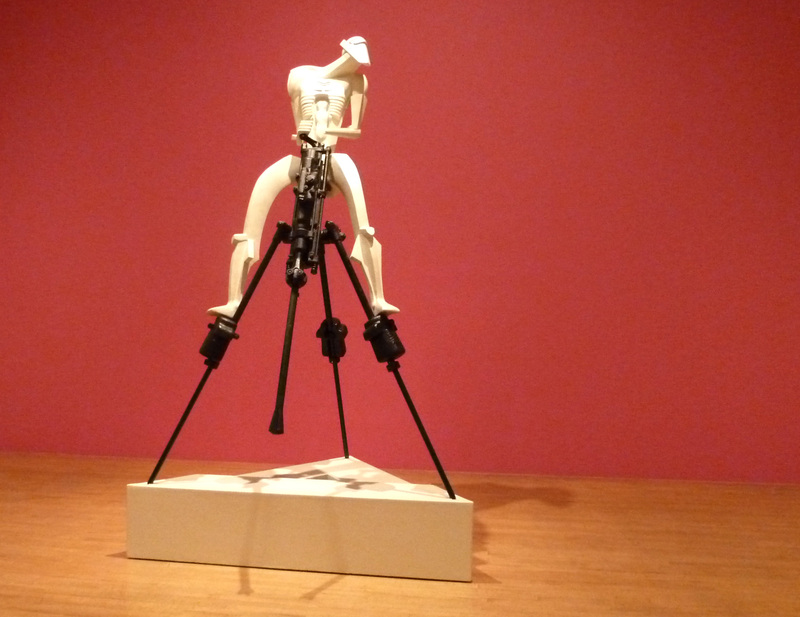 Jacob Epstein, Rock Drill, 1913-15. Own photograph. Aiming to place Vorticism in an international context, this exhibition looks at a tiny period of about two to four years, studying the impact of World War I on the Vorticists through close historical analysis. The specificity of this exhibition looks at Vorticism in its own time, showing how quickly these artists were undermined by the reality and atrocities of war. Many of the paintings from this time are now lost. Imagine what may only be out there. Indeed, the curators optimistically hope that this exhibition, the first of its kind in our internet age, may tempt some hidden gems out of our attics. The exhibition, which works chronologically, starts with a broad introduction addressing the explosion of the avant garde and, in turn, Vorticism, in London. Wyndham Lewis when describing the concept to a friend in 1914 said ‘Think of a whirlpool… At the heart of the whirlpool is a great silent place where all the energy is concentrated. And there, at the point of concentration, is the Vorticist.’ Tate makes this statement clear and thus help to define this isolated movement. Ezra Pound commissioned his close friend, Henri Gaudier-Brzeska, to carve the similarly iconic Hieratic Head of Ezra Pound, 1914, which sits proudly in the centre of the second room. 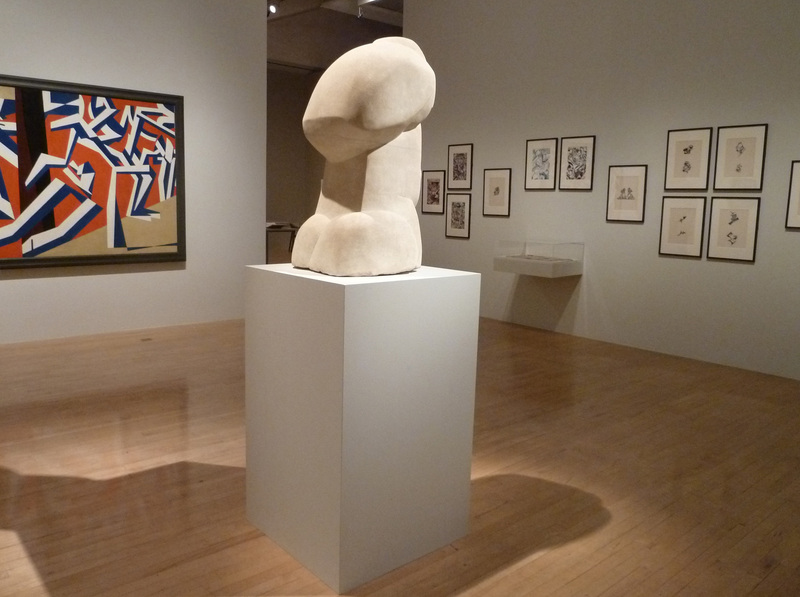 Pound’s only instruction was that the work was to be virile and Gaudier-Brzeska didn’t let him down. Influenced by the Moai of Easter Island, Pound’s ‘back’ is depicted as a giant phallus. Known for his direct methods of carving, Gaudier-Brzeska worked directly from the stone, without using models – you can feel his passion and energy as you look at the piece. Henri Gaudier-Brzeska, Hieratic Head of Ezra Pound, 1914 – rear view. Own photograph. There really are too many masterpieces to name – the striking Bomberg paintings in room 2, the Epstein drawings that sit proudly on statement burgundy walls in the third room. Tate have done this well. The exhibition seems to get a sense of artists’ individual characters, with rooms focusing on singular figures, such as Epstein, in this dimly lit exploration of a number of his sculptures. 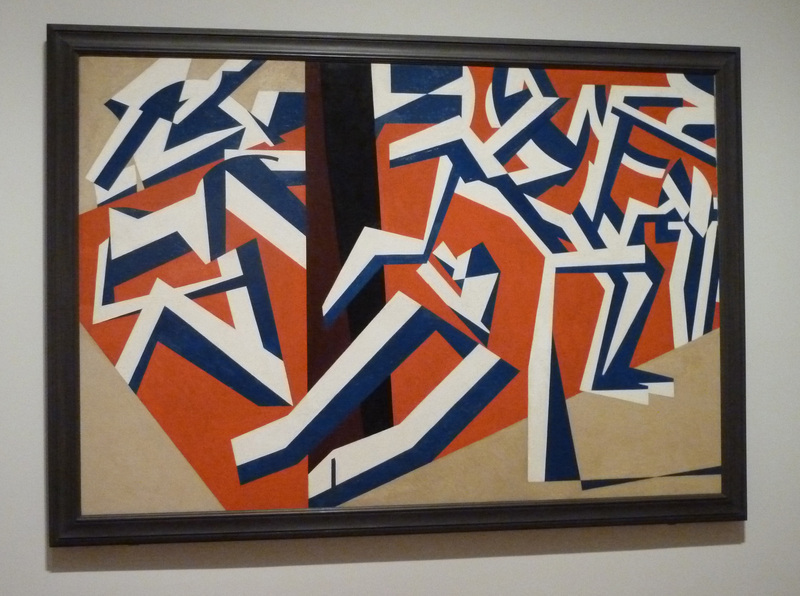 David Bomberg, The Mud Bath, 1914. Own photograph. 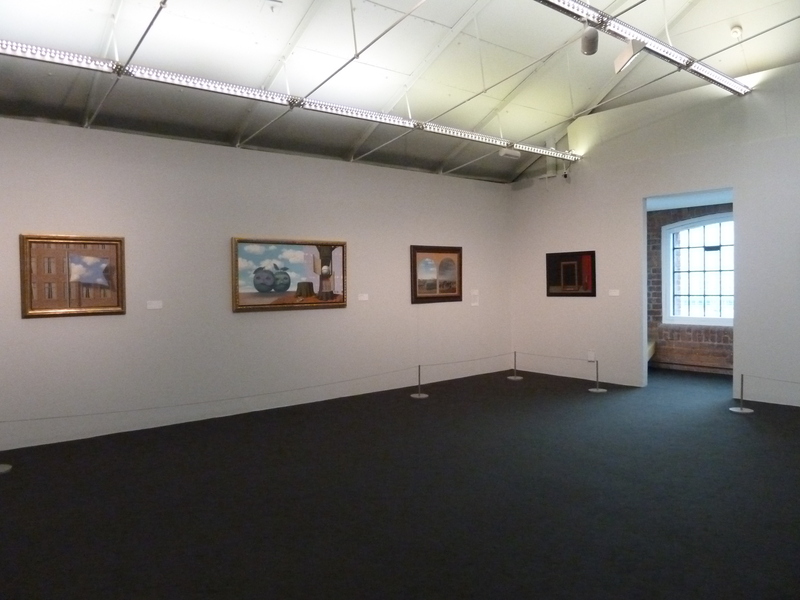 The summer of 1915 heralded the first Vorticist exhibition at the Doré Galleries in London where six artists were invited to show alongside seven of the eleven original Vorticists; Jessica Dismorr, Frederick Etchells, Henri Gaudier-Brzeska, Wyndham Lewis, William Roberts, Helen Saunders and Edward Wadsworth. The exhibition was a culmination a series of modern art exhibitions in London and was one of the most pronounced demonstrations of Vorticism. 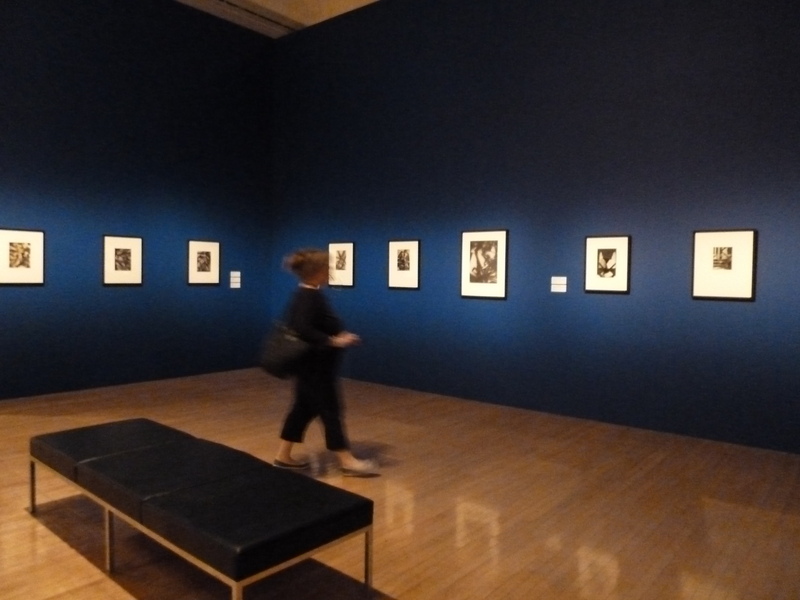 For me, Gaudier-Brzeska is the star of this section of the exhibition. His large dynamic works are shown alongside miniscule sculptures next to sensitive studies from his sketchbooks. 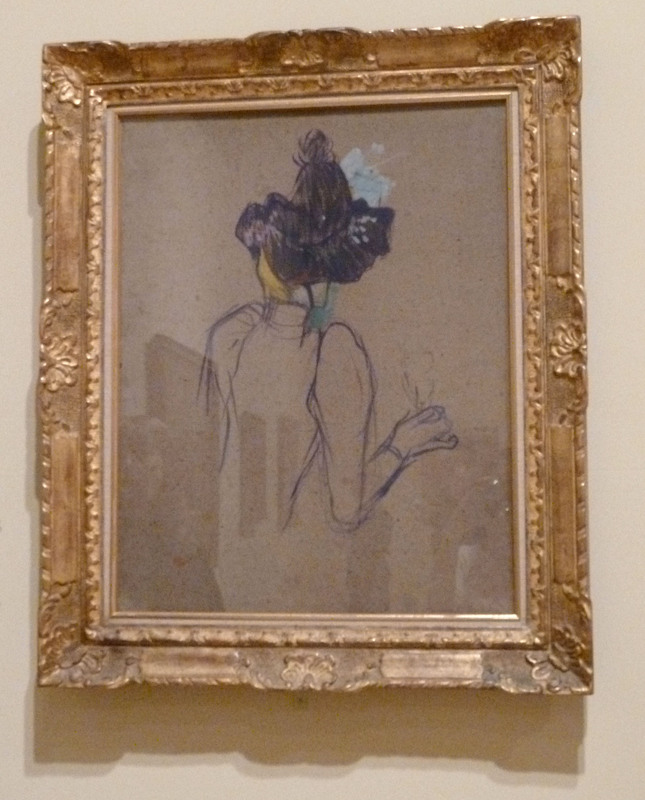 The display of one of his sketchbooks is brilliantly done – shown in a cabinet, a (badly lit) screen to the right shows a man flicking through the pages so we can appreciate every sheet rather than experience the usual yearning we are left with when such books are displayed. I do hope this is something we begin to see more of. 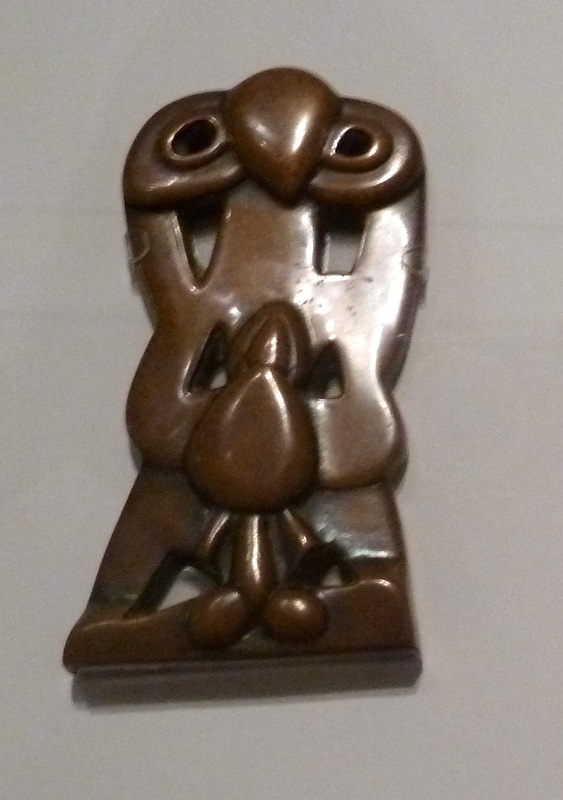 Henri Gaudier-Brzeska, Doorknocker, 1914. Own photograph. Gaudier-Brzeska was killed in the trenches aged only 23 and was already dead by the time of this 1915 exhibition, a powerful reminder of the times in which the Vorticists were working. His death was announced in the second (and last) issue of Blast which also included an article he had written earlier. 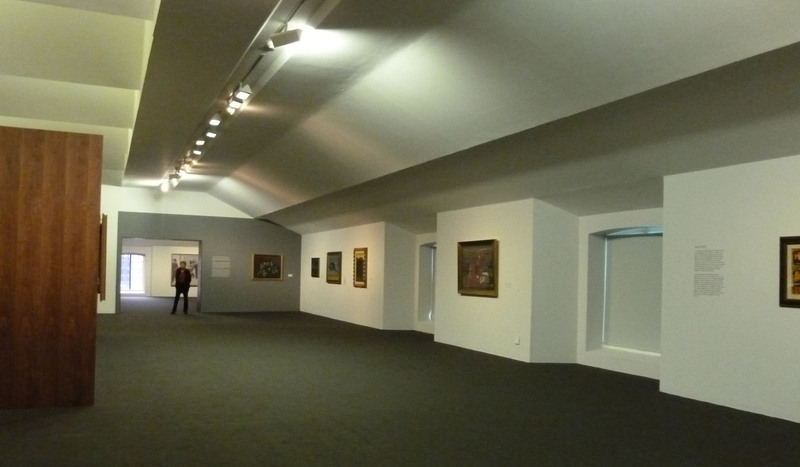 The same room also has a work by Wyndham Lewis, the self-proclaimed leader of the movement – The Crowd from 1914-15. 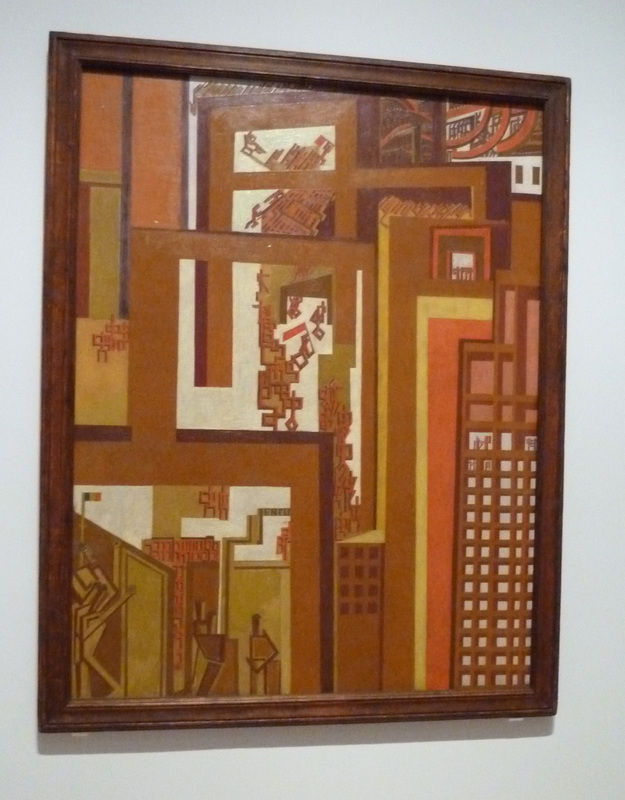 This ingenious abstract composition suggests a modern city. 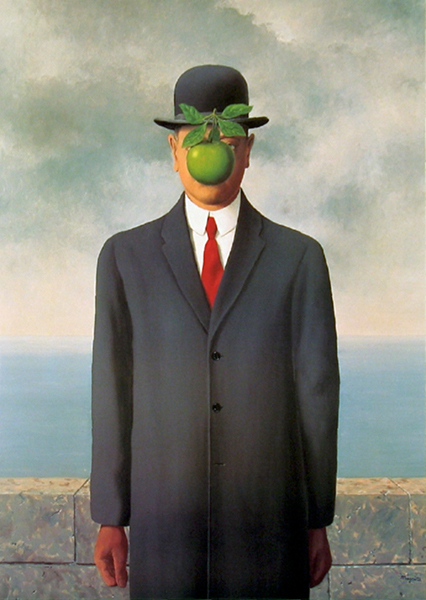 Individual figures lose their sense of individuality as they too become rigid structures. Wyndham Lewis, The Crowd, 1914-15. Own photograph. The final room, in two sections, brings us to 1917 looking at the Penguin Club exhibition of that year, the last in the Vorticists’ ‘lifetime’, and the ‘vortographs’ of Alvin Langdon Coburn, an innovator and creative photographer. The strong wall colours split the room with the photographic pieces hung on a powerful blue. Here, my favourite works have to be the Wadsworth woodcuts – tiny images dealing initially with industrial towns from the North of England where Wadsworth explores and exploits the potential of the texture and contrast of his medium. Alvin Langdon Coburn works. Own photograph. The War was a source of inspiration for many of these artists, most of whom also fought for their country. 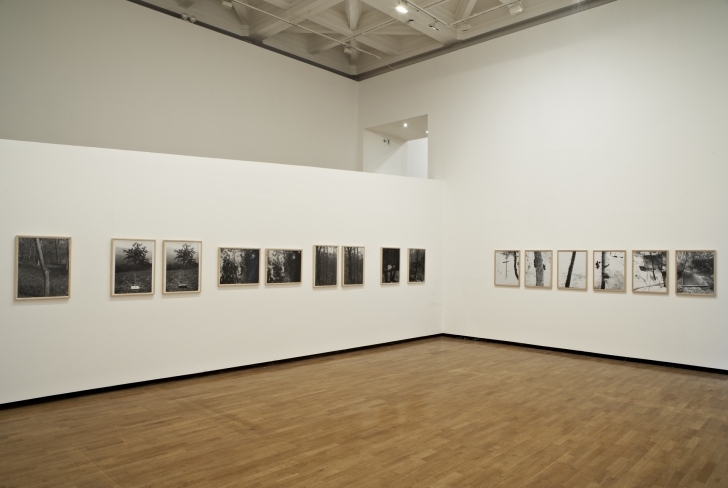 The sombre feeling of the exhibition perfectly captures the environment in which they were working. Big names successfully mix with those who are lesser known, including the female artists Dorothy Shakespear and Helen Saunders whose powerful compositions and use of colour is most striking. 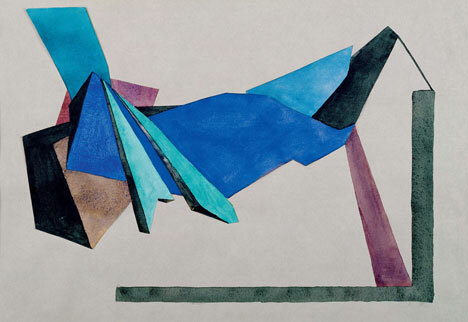 Dorothy Shakespear, Composition in Blue and Black, 1914-15. Image via www.artmonthly.co.uk. Vorticism has a distinctive look and an inherent aesthetic; the works are abstract expressions of a grey and gloomy time. They show the subtle traffic of ideas from Europe and the continent through which the Vorticists forged their own distinctive style and ideas – ideas brilliantly explored in the catalogue that traces the movement’s connections with both New York and Europe. 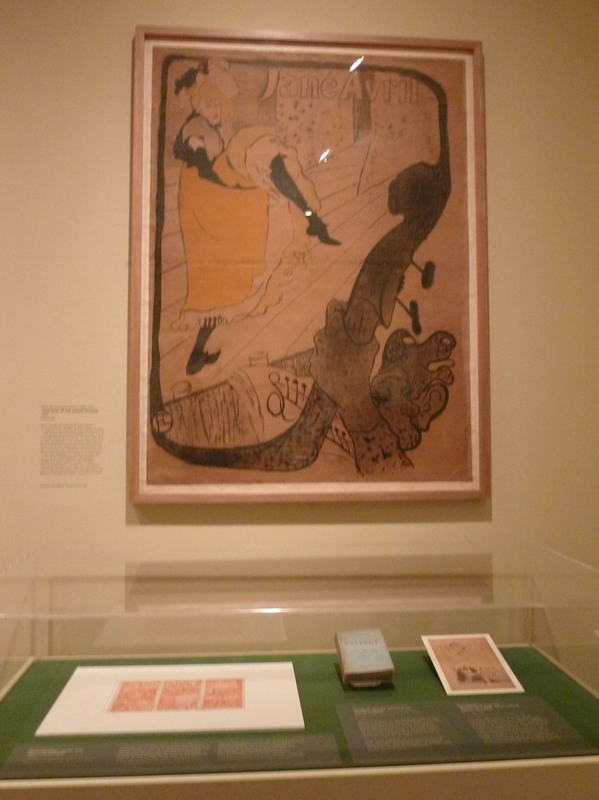 Although, the Vorticists were a resolutely English group, they were influenced by worldwide trends and had a diverse heritage – Epstein was an American Jew, Gaudier-Brzeska originated from France, Lewis was Canadian-born and Ezra Pound, their spokesperson, was American. A cosmopolitan England – today’s England. Yes, I had a few of my usual moans – some of the grey paint I disliked so intensely in the Miró show seems to have come out of the cupboard again and some of the labels are peculiarly placed at the back of the sculptures but, overall, Tate haven’t tried to jazz this up – it is a beautifully curated selection of stunning and important art works. It is clearly and concisely laid out – you can walk around the sculptures, walk through the rooms without obstruction and understand the development of the movement. The War ended and with it Vorticism – one of its many casualties. 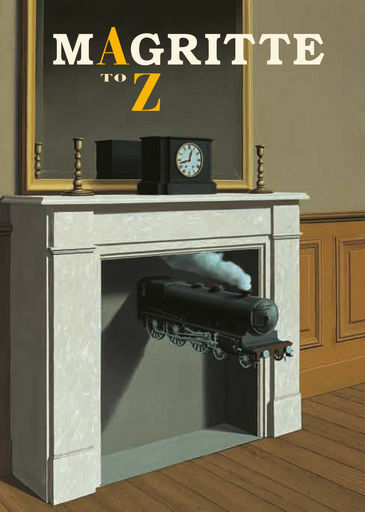 The main problem with Vorticism is that too few people know about this short-lived movement and this exhibition and catalogue should help to change that. 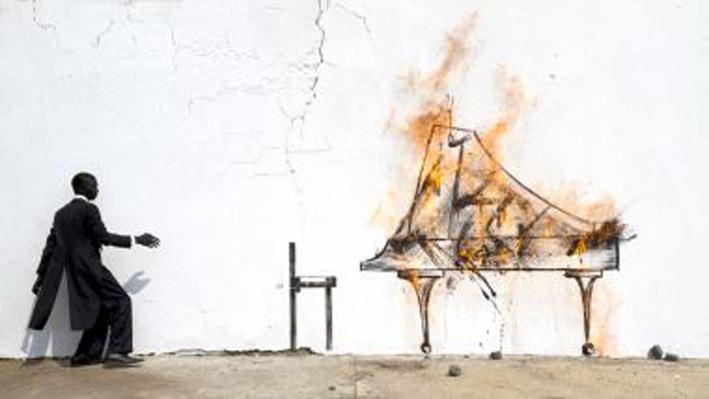 Too few works survive but the energy, talent and sheer vivacity of these artists, despite the horrific times in which they worked, shines through. It is a brilliant exhibition, bringing these genii to the forefront. Bravo Tate. 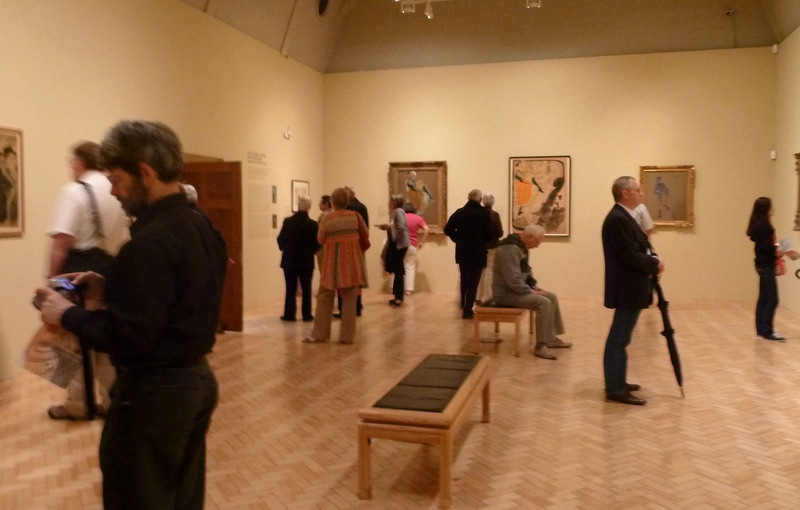 The Vorticists: Manifesto for a Modern World opens tomorrow until 4th September 2011 at Tate Britain, http://www.tate.org.uk. 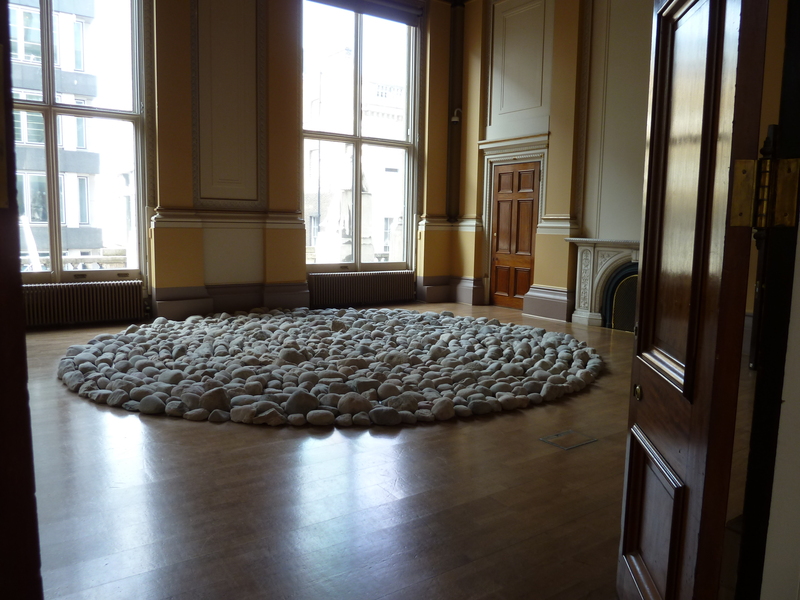 Friday evening marked my second visit to Haunch of Venison’s Richard Long exhibition. The two visits could not have been more different. A couple of weeks ago, when I first popped in, the gallery was a space of peaceful tranquillity with only a few people admiring the works. Last Friday, the gallery was taken over for The Courtauld Summer Party with hundreds of Courtauld alumni buzzing around the rooms. The exhibition was almost forgotten as the hub swelled and gossip escalated. 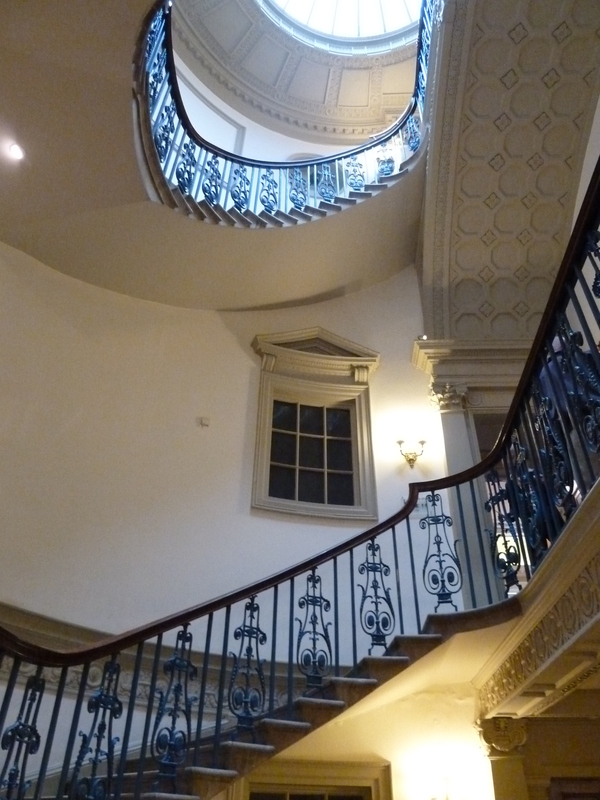 Mine were not the only heels in the gallery and the sweeping staircase that leads to the first floor acted as a ‘would-be’ red carpet for glamorous alumni. Haunch of Venison staircase with Giuseppe Penone, Ripetere il bosco – frammento 28, 2007. Own photograph. 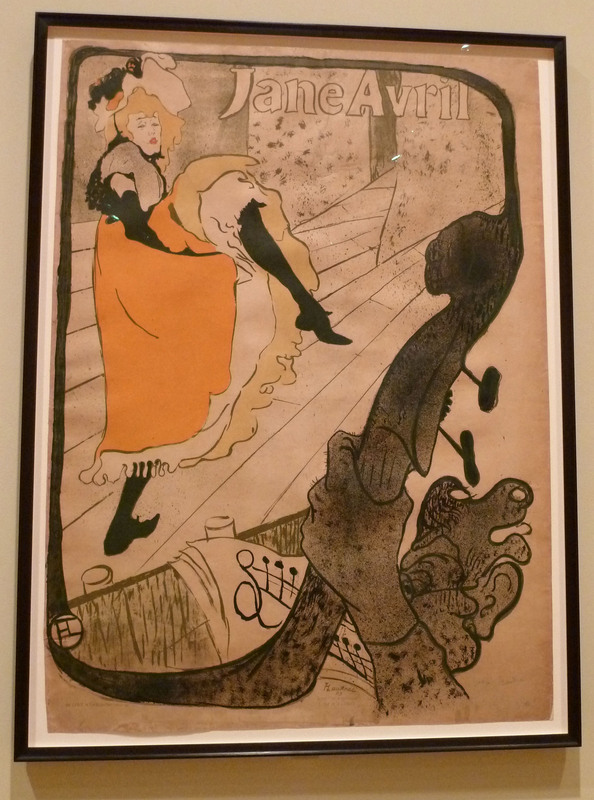 In spite of the fun that overwhelmed Haunch that evening, this exhibition is certainly not one to be missed. Long is the walking artist, a pioneer both in Land and Conceptual art; his works are characterised by simplicity, precision and economy, exploring complex ideas about time and space, movement, natural forces and human experience. The exhibition features works in a variety of media that have arisen from, or been inspired by, his walks. Whether huge stone sculptures or smaller photographs, the works all share this common theme, focusing on the effects of his recent travels. Richard Long, Stone Print Spiral, 2011. Own photograph. 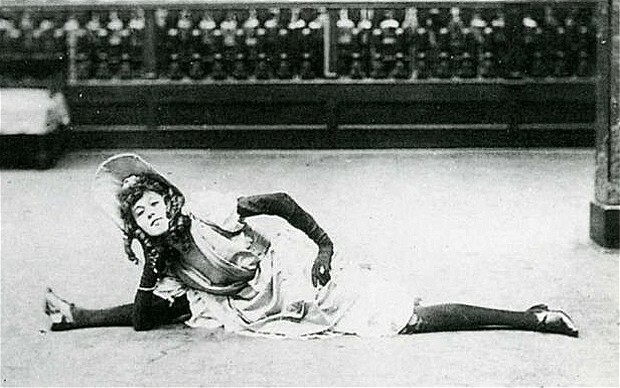 Although the show presents new works, there is no doubt that Long is following his well-trodden path using a tried and tested motif that he first happened upon in his teens (when he photographed the tracks created by a rolling snowball and poured plaster into the sunken holes and crevices that remained) and has developed over the years. 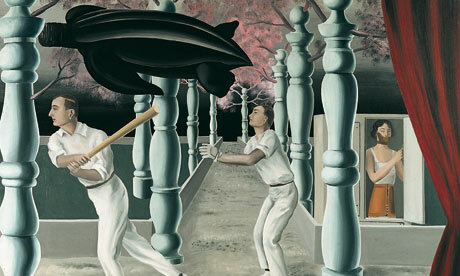 Long’s work is created outside the traditional artist’s studio. His studio is the landscape and his tools are nature’s creations. These works, often in the form of huge sculptures, appeal to our sensual natures while his photographs and text-based works allow our imaginations to do the work. 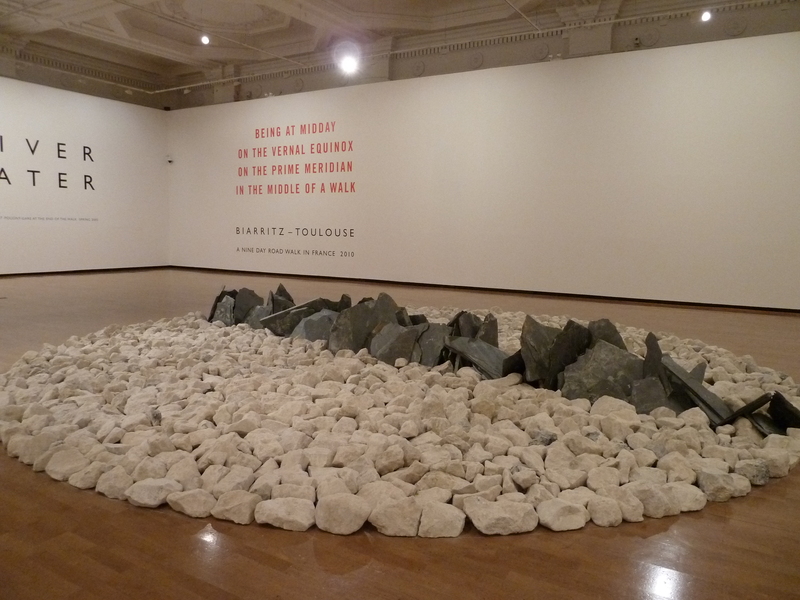 These two practices come together most successfully in the largest room at Haunch where, in North South, the white Portland stone circle, divided by an upright line of Cornish Delabole slate, is surrounded by text works. Compass points in North South evoke the world outside the gallery – although Long has brought nature inside, it is impossible to confine his natural ideas. Richard Long, North South, 2011, and other works. Own photograph. The text works range from small framed pieces to word-installations that take over entire walls. 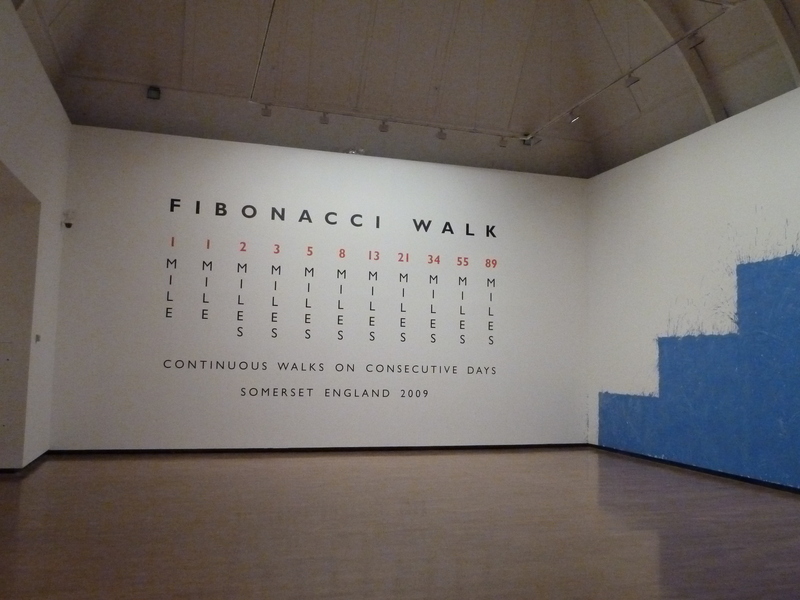 Richard Long, Fibonacci Walk, Somerset, 2009. Own photograph. As Long introduces nature’s materials into the galleries, imposing himself on the works, they become objects of contemplation rather than mere evocations of his journeys. With society’s continuous destruction of our natural landscape, Long’s work is still as powerful as it ever was. His relationship with our environment strikes a resounding chord. Long studied at St Martins under Anthony Caro alongside some of our greatest modern artists and was encouraged to pursue whatever art form he wished. His own interpretation of painting is seen in one work, from which the exhibition takes its title, where he has thrown watery clay and pigment at the wall, using his hands, rather than man-made tools, to create shapes. The pigment in this work is an unusual inclusion for Long but aims to show the often necessary and harmonious marriage of man and nature. 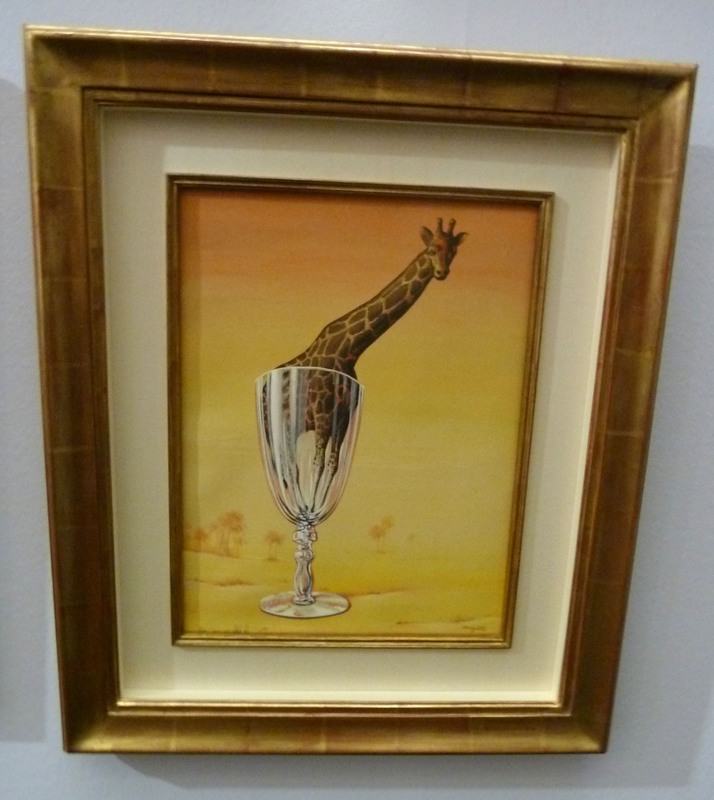 Long’s work is very much about himself, the way he interacts with natural forms. 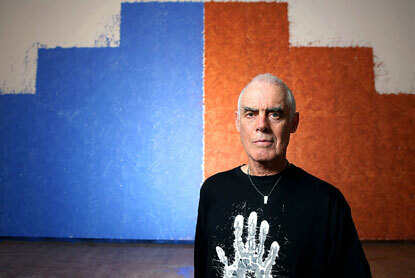 Richard Long with Human Nature, 2011. Image via www.thisislondon.co.uk. 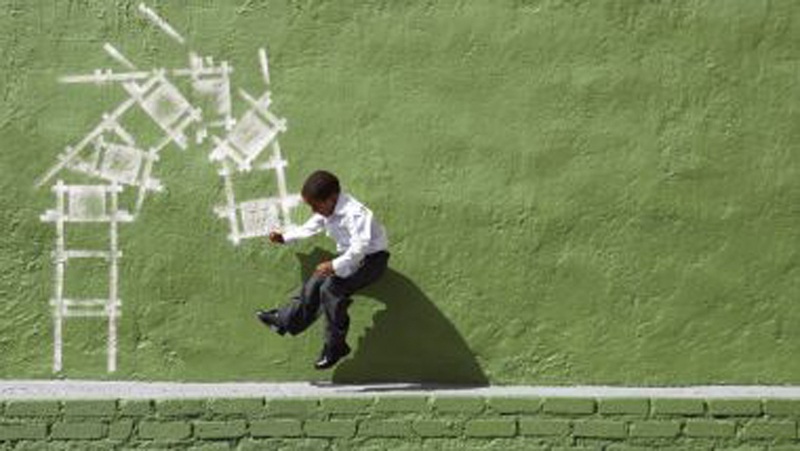 Long’s work is about journeys and, as we walk around the exhibition, we make our own journey. You may remember that I wrote about the Fabien Seiz exhibition (at the Josh Lilley Gallery) a few weeks ago where visitors’ footprints mark the bitumen on the gallery floor. Here again, although less explicitly, we can think about our own journeys, conscious of the marks we leave behind all day whilst walking along the streets, running for the tube or ambling through London’s parks. man and his environment, showing nature’s resilience in spite of our frequent interventions. Giuseppe Penone in the mezzanine gallery. Image via www.haunchofvenison.com. Haunch is not the only place where Long is currently exhibited – as well as being included in major collections across the world, he also has a work in the Summer Exhibition, just a short walk down Burlington Arcade. 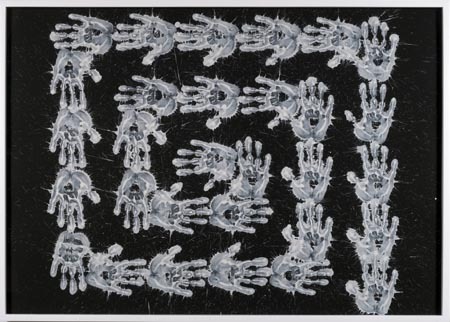 The Summer Exhibition work, which I’m fairly sure also appears downstairs at Haunch, Untitled (2010), is made using white china clay on black card showing a journey of hands. Maybe this is a designed as a taster to lure people up to Haunch – you see one, you love it and you want to see more. Richard Long, Untitled (2010). Image via www.haunchofvenison.com. Or if you’re heading abroad there are two further Long shows in Berlin and New York. 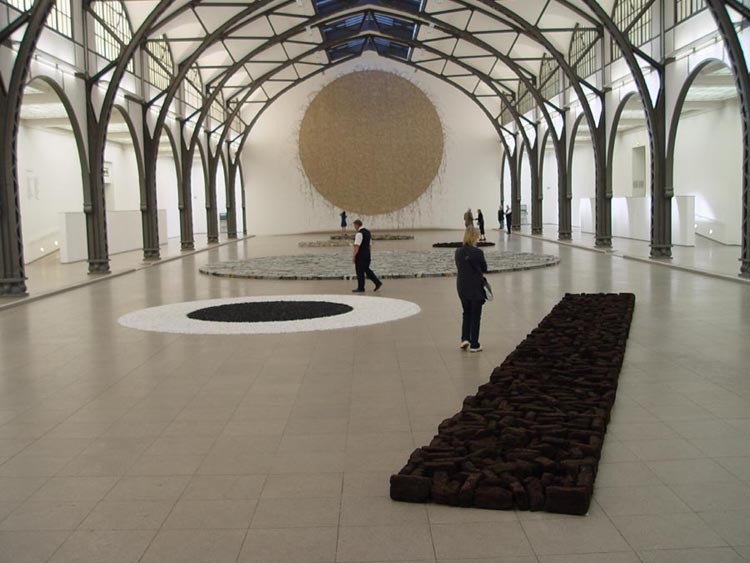 Richard Long: Berlin Circle, installation view. Until 31st July 2011 at the Haumburger Bahnhof Museum für Gegenwart. 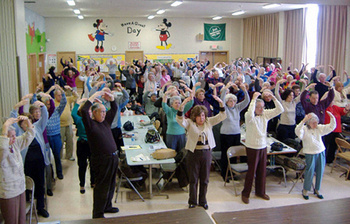 Image via www.therichardlongnewsletter.org. Long has quite a busy exhibition schedule at the moment and maybe this explains why the Haunch show was, sadly, a tad smaller than I expected. Although he may not have succumbed to the celebrity that compels some artists, Richard Long is undoubtedly one of the most important talents to have emerged since the 1960s. 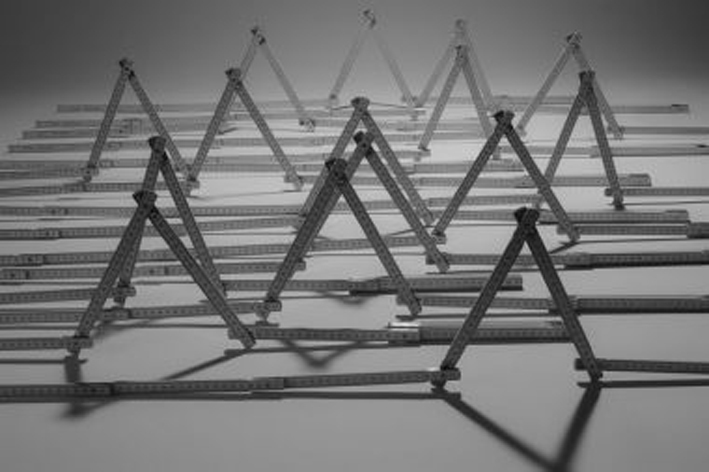 Richard Long: Human Nature is at Haunch of Venison until 20th August 2011, www.haunchofvenison.com. It’s that crazy time of year again – the summer season has begun. 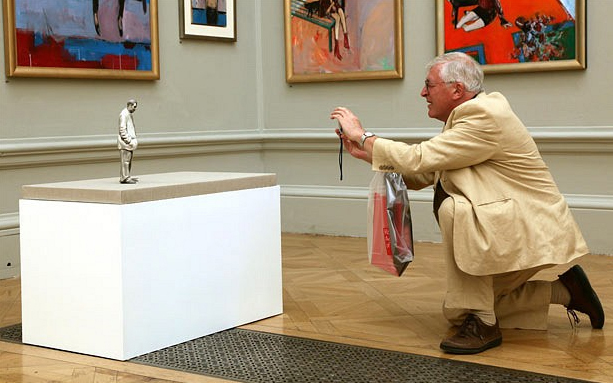 Since the Royal Academy’s Foundation in 1768, the Summer Exhibition has been an annual fixture. Historically, the exhibition was an opportunity for Royal Academicians to showcase their work but, today, it is renowned as the show where amateurs stand proudly alongside the gods of the modern-day art world. It is part of the social calendar with all the glossies covering the grand party that marks the opening. It is the show that is hated by the art world (many don’t even bother to visit) but it is packed every day until August. 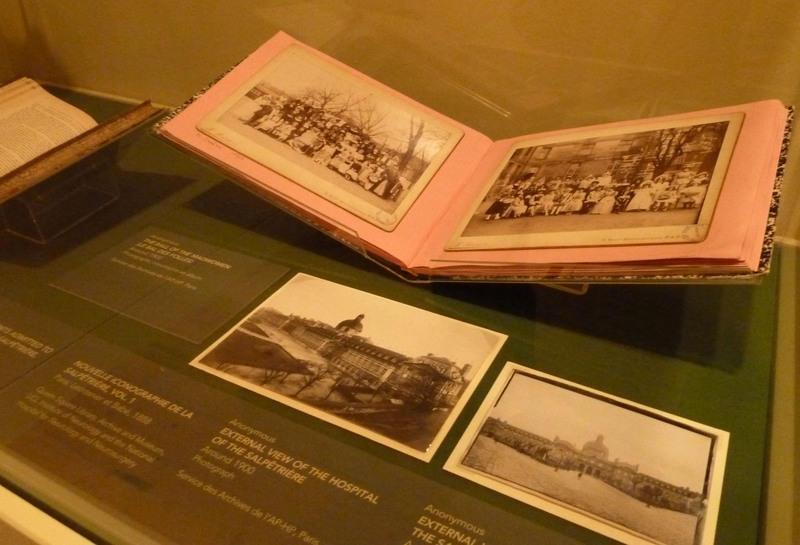 You couldn’t hold this exhibition without the expected criticism. Now, I won’t pretend that I’m not a Summer Exhibition critic but I did enjoy this year’s more than most. Visitors at The Summer Exhibition. Image via www.guardian.co.uk. 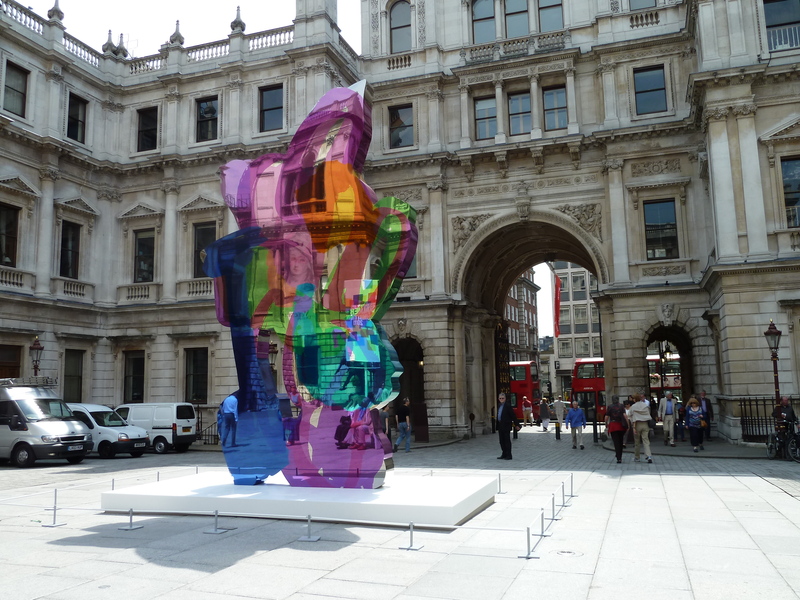 I’d been eagerly anticipating the exhibition since Jeff Koons’ sculpture was installed in the courtyard a few weeks ago. Although quite abstract, the work stems from a line drawing of Piglet in Winnie the Pooh – one of my all-time favourite children’s’ books. Koons explores the joyous playfulness of child-like marks in a colouring book. Jeff Koons, Colouring Book. Own photograph. Royal Academicians Christopher Le Brun and Michael Craig-Martin (both of whom have wonderful works on display) have played major roles in this year’s curation. Key to the changes introduced this year is that there is no theme. I applaud their decision to accept the random nature of the exhibition and to go with it. Unusually this year, visitors enter the exhibition through the central octagon filled with large-scale photographic works and Martin Creed’s Work No. 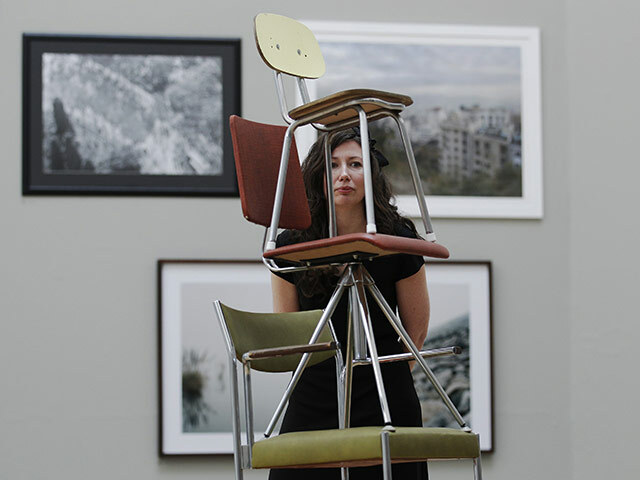 998 (familiar from his exhibition at The Fruitmarket Gallery, Edinburgh, last year) where he has stacked chairs one on top of the other. Although the chairs are different from each other they appear the same through the calming influence of rhythm, sequence and harmony. Martin Creed, Work No. 998. Image via www.guardian.co.uk. 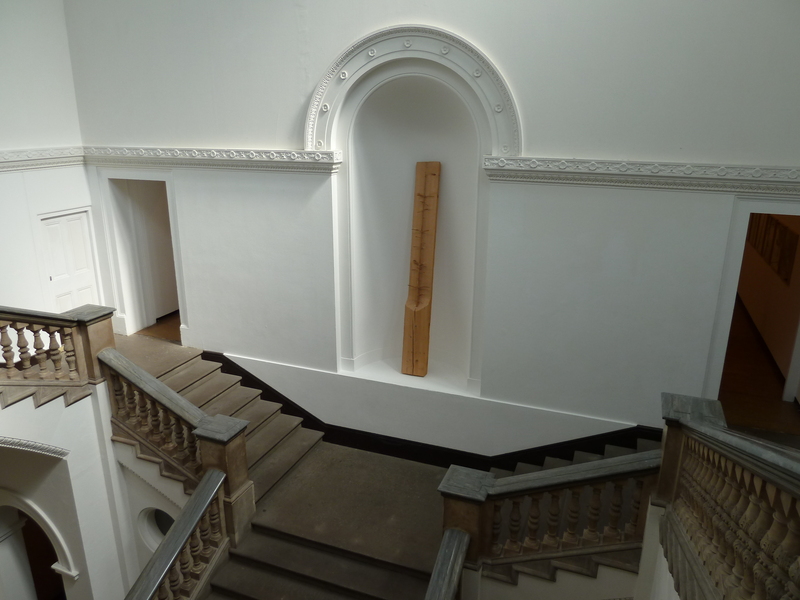 The selling point of the show has been the ‘Salon Hang’ in the RA’s grandest space. Room III is certainly a success but, ironically, what I think works best is that it isn’t quite as crammed as in previous years. The Royal Academy was originally housed at what is now The Courtauld Gallery and an 18th century salon hang was a dense floor-to-ceiling collective of works where the prime positions were ‘on the line’, a moulding placed at eye level. 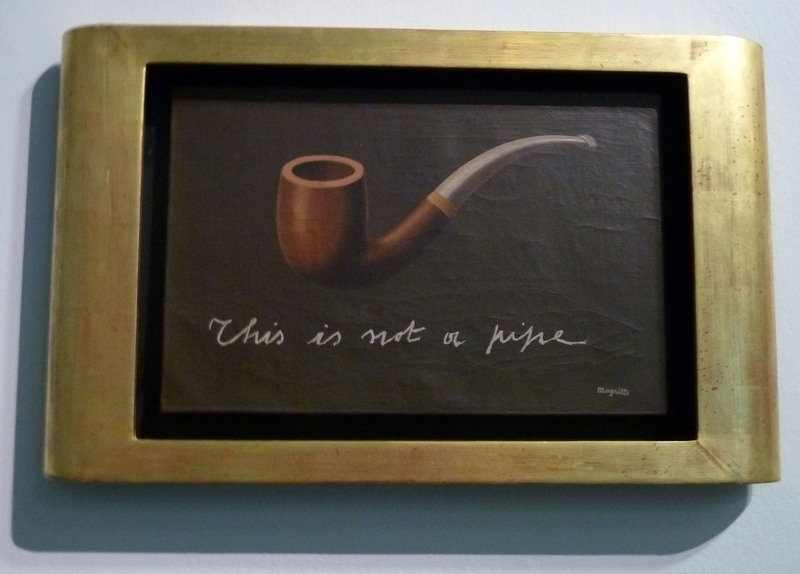 This was excellently re-created in the ambitious exhibition, Art On The Line, in 2002. 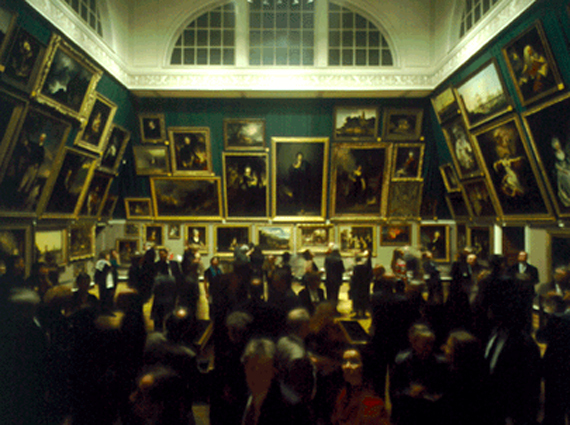 Art On The Line, The Courtauld Gallery, 2002, curated by Professor David Solkin. Image www.courtauld.ac.uk. Although not necessarily as busy as these hangs once were, Le Brun has followed traditional ideals with pieces radiating out from the large-scale works in the centre of each long wall. He wanted visitors to find their own way through the gallery rather than being controlled by curatorial ideas. He succeeds. The strong grey wall colour suits the gravitas of many of the pieces on display. Room III. Image via www.guardian.co.uk. For me, in this room and across the whole exhibition, Keith Tyson’s Deep Impact has to take first prize. 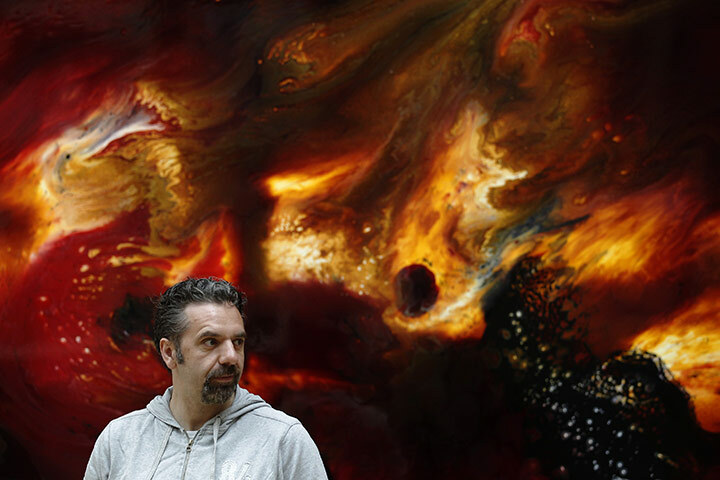 This mixed media on aluminium is a burning fire of molten fury, the swirling colours conjuring passion, turmoil and power, grabbing viewers’ attention as they amble through the thousands of works on display. Keith Tyson with his work, Deep Impact. Image via www.guardian.co.uk. It is very hard to discuss this exhibition without pinpointing particular works. 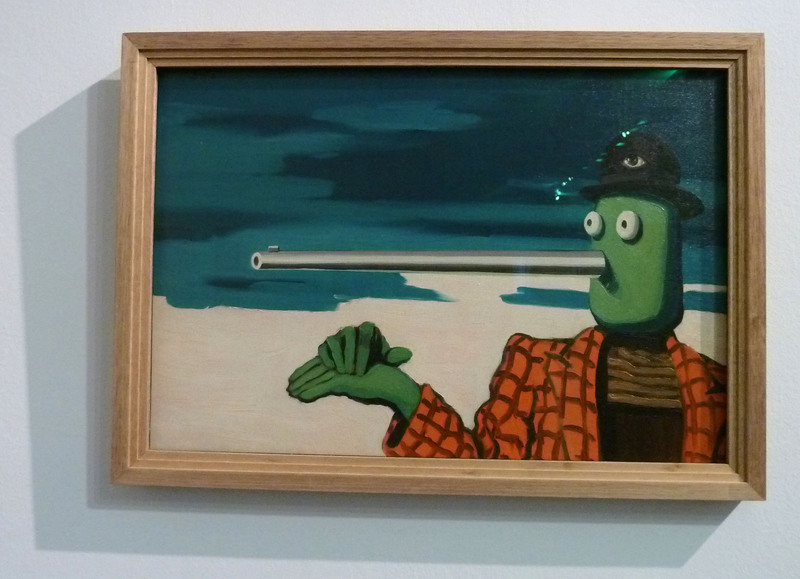 As ever, at the Summer Exhibition, the best works stand out and the others merge into a panoply of dross. I clacked around (the RA floors have some of the best heel acoustics in London) clutching my champagne, list of works and pen, noting interesting pieces. But, flicking back, I now see I circled more than I expected so I will try to be brief. Anselm Kiefer’s Aurora haunts the Large Weston Room. 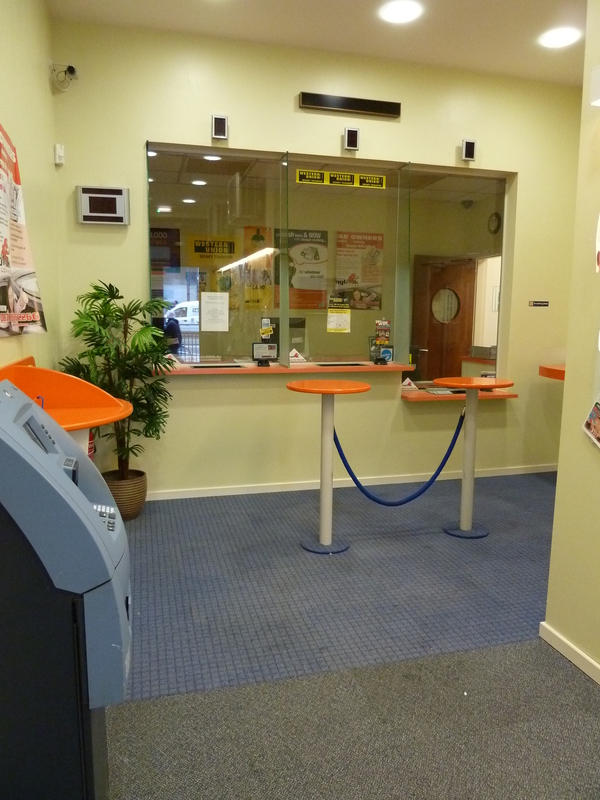 This room, usually subdivided into sections on one side, has been left open and this is very successful. There are still loads of works but, finally, there is the space to see them. 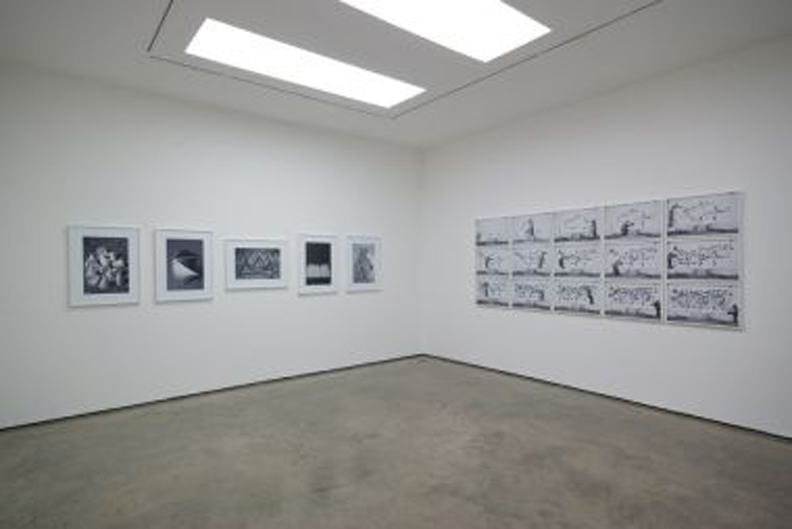 The Lecture Room, curated by Craig-Martin with his own specially invited artists, gathers together all the famous names of art with Allen Jones, Gary Hume, Michael Craig-Martin himself, Tracey Emin, Jenny Saville, Anish Kapoor, Christopher Le Brun, Antony Gormley, Richard Long… I could go on! The works are all signature pieces from the artists as Craig-Martin wished the works to reveal ‘the true, distinct, and singular voice of an individual artist’. Allen Jones, Think Pink. Image via www.telegraph.co.uk. 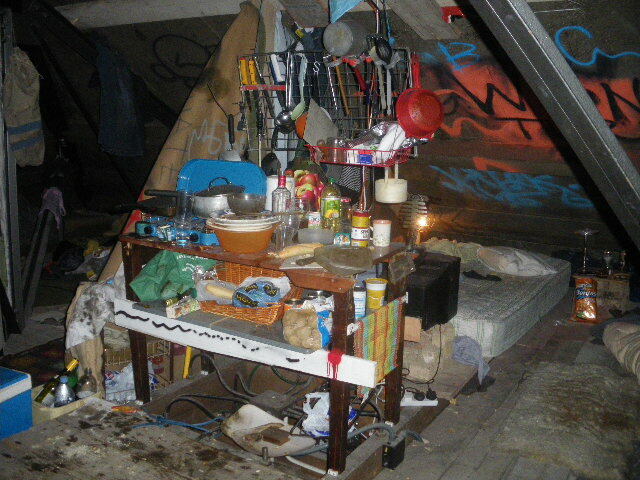 There are the usual ‘pretty’ works (Ice-Hiss by Vanessa Cuthbert and Mr Muscle by Tor Hildyard) and, yes, there is a lot of rubbish (including some disappointing pieces from big names) and the last room is particularly weak. But, if you search thoroughly, there are some wonderful things: David Nash’s Funnel, an amazing severed trunk that we can peer through, and Dae Kwon’s 250510R, that has won the Jack Goldhill award, both stood out for me. Dae Kwon, 250510R. Image via www.telegraph.co.uk. 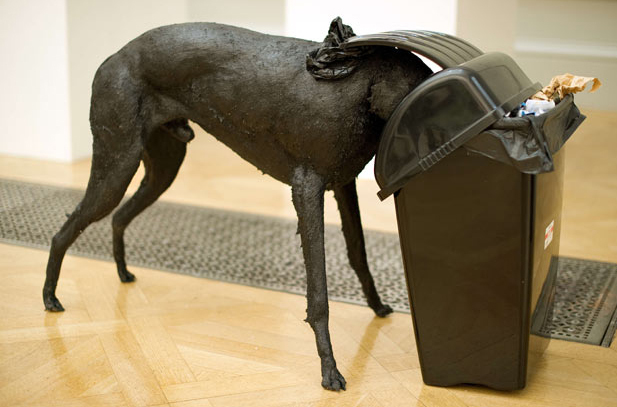 Dog In a Bin by Simon Brundret is a kinetic sculpture made from silicone, rubber, bin and a motor, showing a dog devouring rubbish. There is no doubt that this has the novelty factor but it left me with a smile. I dare you not to look at it and grin. Simon Brundret, Dog In A Bin. Image via www.telegraph.co.uk. 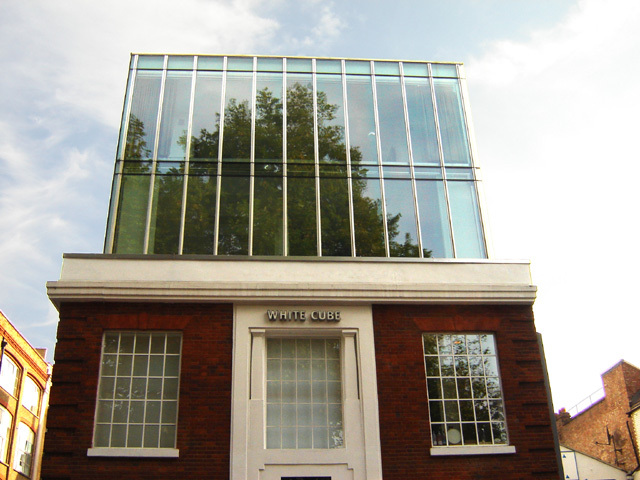 The RA receives no public money and the Summer Exhibition generates much revenue for the gallery. Sales from the Summer Show also contribute to funding the RA schools (the only non-fee paying UK art school) which produce some of our greatest artists. 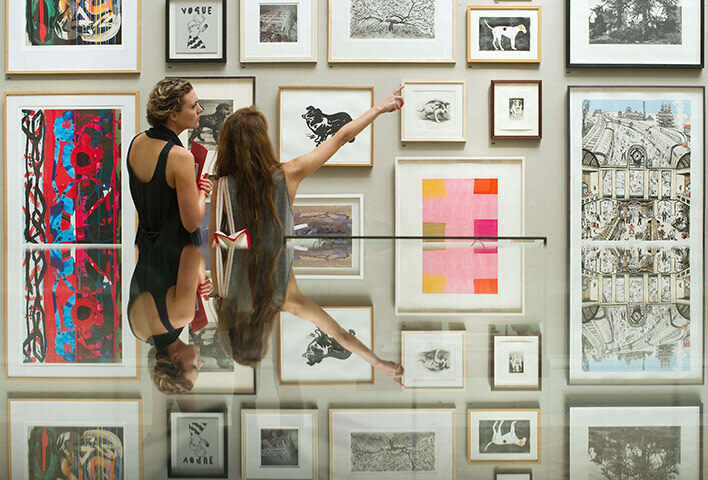 No-one is pretending that the Summer Exhibition is a collection of the best art in the UK today – accept it for what it is and enjoy it for all those reasons. It is a gathering both of art and people, a mish-mash and an essential fixture in our summer calendar that provides an opportunity to see what’s going on in all echelons of the art world. Anish Kapoor, Untitled. 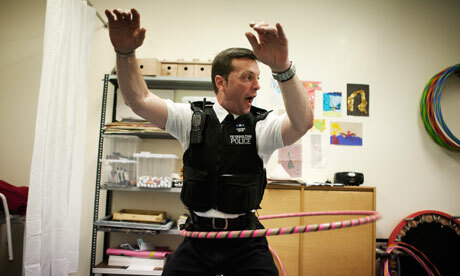 Image via www.guardian.co.uk. 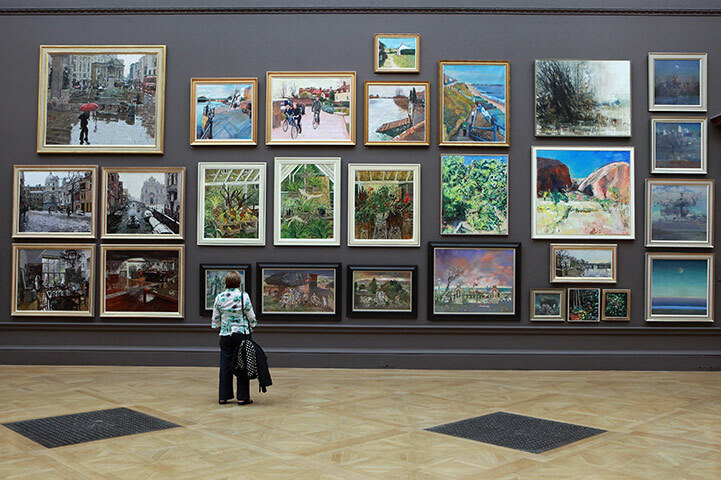 The Summer Exhibition at The Royal Academy opens on 7th June until 15th August 2011, www.royalacademy.org.uk.